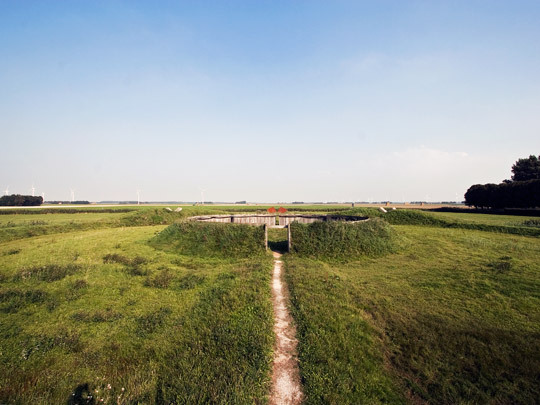 The earthen walls of this latter-day take on prehistoric observatories such as Stonehenge occupies a site of six hectares. It is a realized example of Land Art by the American artist Robert Morris. On both the longest and the shortest day of the year, the rising sun is captured in gigantic steel sights. On other days, too, an interesting play of sun and light is to be seen.